The design is by Rozen Lucas for DMC. 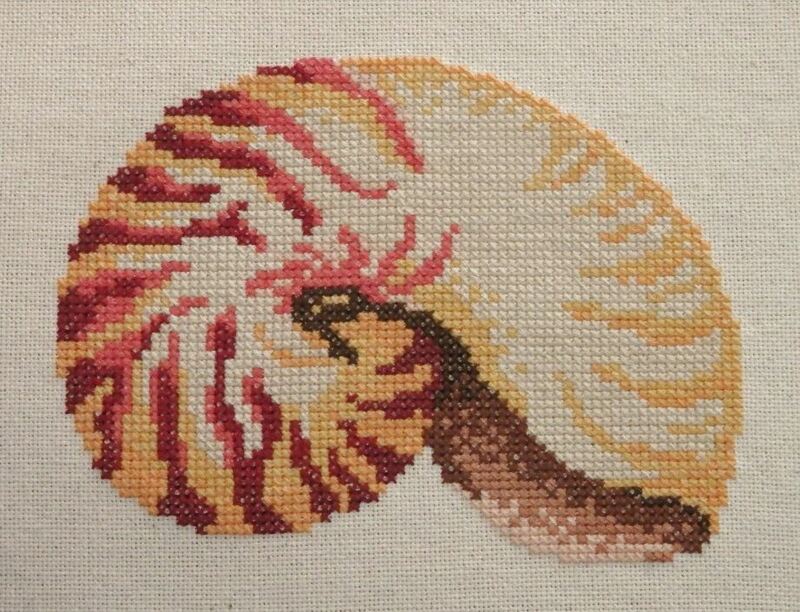 Stitched with Anchor threads on a scrap of cream 25 ct evenweave (cotton? ), two over two. I loved this one the minute I saw it. Back then, I didn’t do much cross stitch, I was more like a patchwork addict. What’s more, I couldn’t locally buy the DMC threads needed. 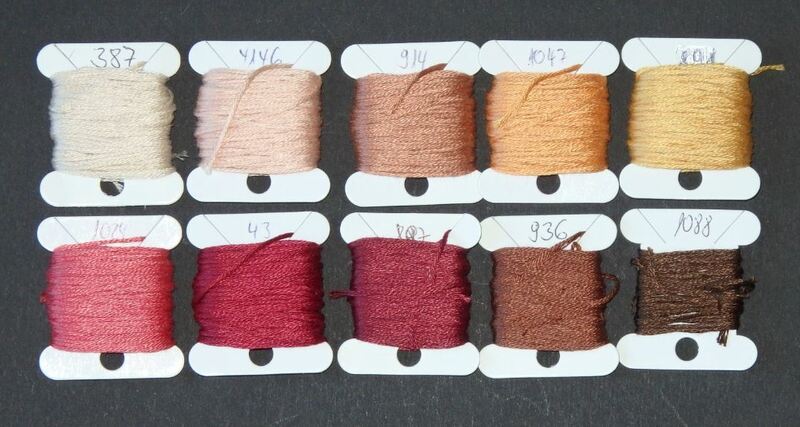 Nowadays thread conversion is easy thanks to the internet. I kept the torn out pages in my project folder all those years. I think it deserves a nice little frame. 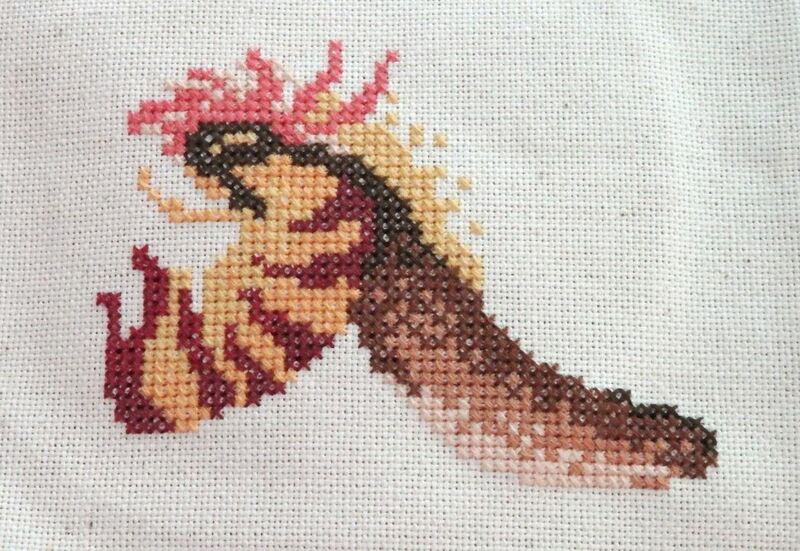 After finishing DWXS3 I treated myself to a small new cross stitch project a couple of days ago. It’s a chart that has been in my project folder for ages. A couple of torn out pages from a German craft magazine, I’ve forgotten which one.